HealthClinic.biz is a fictitious regular doctor practice specialized in offering healthcare preventive care. This clinic is using different Microsoft and multi-channel apps built with Visual Studio 2015 to grow their business and modernize the customer experience. They also innovate and offer multiple apps and services—including websites, mobile apps, and wearable apps—to empower their patient’s well-being with easy access to manage their healthcare data and stay healthy. 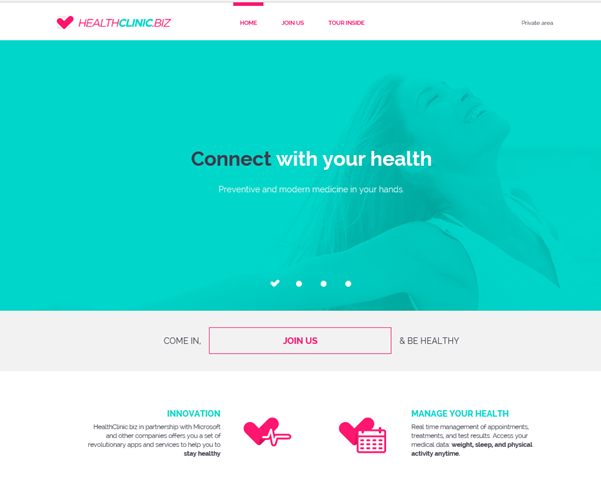 The core apps in HealthClinic.biz are a public website, a private website, a WPF application for receptionists, a Universal Windows Platform app for patients, mobile apps for patients and doctors, wearable apps, and more! The following sections give a brief summary of each, which you can see in action during the Connect(); //2015 keynotes. The clinic has a public-facing or marketing site that provides info on the services and apps that the clinic offers. The clinic is also an enterprise and needs to manage doctors and patients in its database. The clinic thus has a private website used for patient/doctor data management and a dashboard to understand visit trends. We built both websites using Visual Studio 2015 + ASP.NET 5.0 RC + Azure, with Glimpse and App Insights for monitoring and gathering telemetry. You can see these apps in action @ Scott Hanselman’s keynote starting at 2:11. For receptionists, we built a WPF app that lets them view the information they need. Similarly, we build a Universal Windows Platform app for patients. Both apps use a common Portable Class Library that results in approximately 80% shared client logic code between the apps. You can see more during Kevin Gallo’s demo starting at 1:07:50. For patients, we built a cross-platform mobile app using Xamarin so we could deliver a native look and feel and great performance on every device across iOS, Android, and Windows. We built another app for doctors of the clinic using web technologies and the Visual Studio Tools for Apache Cordova. This allows 100% code reuse across devices, with Cordova plugins providing access to native device capabilities not available in a browser. When patients want to schedule an appointment with their favorite doctor, they need to know when the doctor is available. These apps let patients create appointments in both the doctor’s Office 365 calendar and in their own Outlook.com calendar using same API, the Microsoft Graph API. Of course, mobility is not only about smartphones and tablets. Wouldn’t it also be great if the doctors of this clinic could provide continuous service? Using Visual Studio 2015, we built an app that provides medication reminders for the Apple Watch and Microsoft Band 2 so patients can have assisted care throughout the day. Watch Amanda Silver’s keynote talk and demo starting at 1:16:55 where she shows the latest on mobile development, including native cross platform apps (Xamarin), hybrid cross-platform apps (Cordova), and wearables. During their segment, Brian Harry and Donovan Brown demonstrated (starting at 16:30) how Visual Studio Team Services plus different extensions work together to create an awesome DevOps experience for devices and services. And for the grand finale, Scott Hanselman showed a smart end-to-end diabetes monitoring scenario. 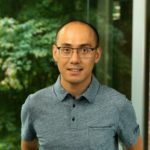 He used multiple cloud technologies including health data from Microsoft Health, his own glucose data in the cloud, Azure Machine Learning experiment data, and the Microsoft Graph API to get insights from his own personal health data, such as determining the most stressful times in his calendar. Let’s just say the common thread had something to do with a man in a red shirt. Download the code and contribute! By now we hope you’re ready to get into the HealthClinic.biz code yourself, which you can download from GitHub. And we certainly invite you to help build out this scenario further to help many other developers realize solutions that can be built with the latest developer technologies to serve the many needs in our world today. Erika has been at Microsoft for over 11 years, working first in Microsoft Consulting and enjoying later on different roles where she created content and code samples for developers. In her current role she is now focused on executive keynote demos and Visual Studio and Azure product marketing.